The floods have reached the home counties. Beautiful homes next to the River Thames are awash. This is archetypal middle England. Confirmed Tory voters are now being affected by the floods which have ravaged the West Country and other areas for many weeks. 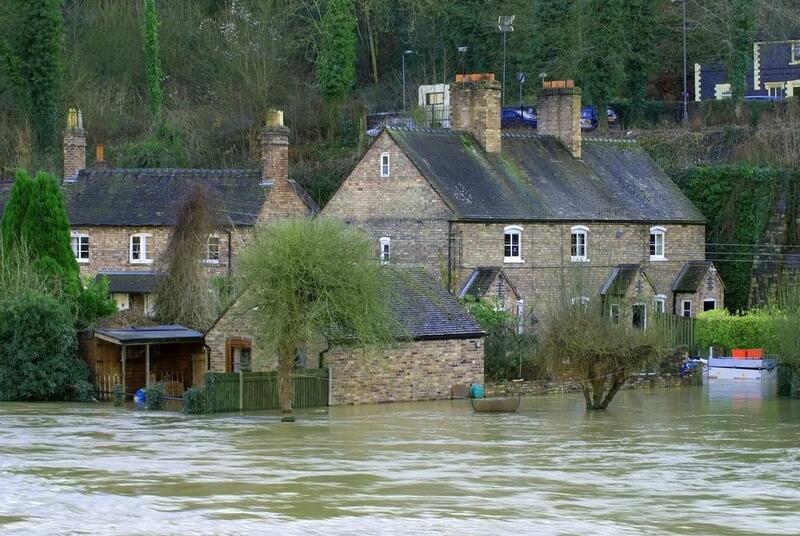 Strangely, now that the water is affecting the homes of the “middle classes”, money is suddenly no object. Cameron even says “we’re a wealthy country”. He should choose his words with care…. Since the 2010 election we’ve been told that “difficult decisions have to be made” – especially when it comes to social security for the poorest in our communities, those who are ill or disabled and unable to work or are unattractive to potential employers. We were been told the welfare bill had got out of hand – even before DLA, the benefit that started in 1992 (and isn’t perfect, but what is? ), had worked its way through the population to steady state, we were told it cost too much. Local authorities have had massive reductions to their budgets – and as the lion’s share of non-ring-fenced LA spending goes on adult social care, it’s not hard to see why this has led to a dramatic reduction in the number of disabled and older people receiving support. We can’t even afford to support couples who live in social housing, where one partner is providing round the clock care for the other but needs a bedroom to sleep in. Carers UK have recently published a report telling the devastating stories of family carers trying to balance caring responsibilities and work with insufficient financial and other support; for those providing 24/7 care, the carer’s allowance pays the princely sum of 36 pence per hour…. There is no doubt that people have been, and are, suffering enormously as support and resources are stripped away from those most in need of help. People are having to choose between heating their homes and eating properly, mothers are choosing not to eat to ensure they can feed their children, families are finding themselves unable to make ends meet in the school holidays when their children don’t get free school meals. There isn’t enough money to enable everyone to have the basics; that’s how poor our country is. You get the picture. ”We’re all in it together” – but those who are obliged to rely more on public services and support are clearly “in it” much more than those able to be more self-reliant. This quiet crisis – exemplified, in a sense, by a terrifying story in the New Statesman today about a recent increase in the death rate of older people – only hits the news if some gobshite (sorry!) like Katie Hopkins (who I’ve nicknamed #walkingtabloid) says something outrageous. For months on end we’ve been waiting for the BBC to report properly what’s happening on the ground. Suffering, what suffering? Don’t know what you’re talking about. Poor people, really poor, in the UK today? Don’t believe it. They clearly can’t manage their money properly (er, what money??). This dreadful suffering, desperate people waiting to hear whether they can get enough money to live on, is the price we thought we were paying for the financial “crisis”. Like a lone voice, I’ve contributed to the comment pages on right-wing articles, saying “but the UK is a wealthy country. We do have money”. Superior middle-class types, who have no concept of how quickly their lives could spiral downwards following a catastrophic injury or illness, have patronised me, explaining, as if to a two year-old, that the country doesn’t have money, only individuals do; how could I be so naive?! PS: Every time I see some news, my heart breaks for all those whose homes, whose private spaces, are ravaged by dirty, sewage-contaminated water and/or destructive winds. And I know that many of those who live near the Thames are ordinary people with ordinary jobs; not that different from those living in areas that have been flooded since December. Some of those who’ve read my blog have deduced I don’t care; I do. Flooding is one thing, politics is another – but disability, ill-health or poverty will have a major impact on the ability of many to pick up and start again. These issues are neither simple nor – in the case of the weather – under the control of our leaders. But what is under our leaders’ control is their attitude and their response to both flooding and other disasters that befall our fellow citizens, whether that be a catastrophic injury, a long term illness, unemployment or anything else. I want our leaders to help – not just those who are flooded, but those who were struggling before the weather hit and are still struggling – or struggling even more due to the impact of the weather. And finally, many will disagree with the points I’ve made. But the above post was written while I was watching Cameron on the TV, declaring that we are now a wealthy country and money is no object…. and I was immediately struck by the sharp contrast with the message the Government gives when it wants to remove support from those who need it most (flooding aside, of course; I DO NOT begrudge help going to those who have suffered flooding). I wasn’t seeking to pronounce on the state of the nation’s finances; I don’t have the expertise for that!! Fate aint it? a few generation ago my great great grand parents decided to leave that dump and go to the other side of then world.